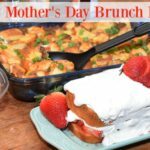 Breakfast foods are some of my favorites, so I just love how Mother’s Day is full of delicious brunch ideas. Is there anything better than breakfast foods mixed with dessert? 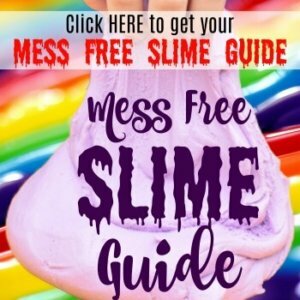 I’ve got a couple recipe ideas you might just love to share with your mom or mother-in-law, or even maybe the kids can make them for you! Doesn’t that sound nice? Whenever my mom comes over for meal, like on Mother’s Day, she always ends up helping, even when it’s her day. She’s so used to taking care of all of us. I picked up a few things for these totally easy recipes. First, I got some bagels. 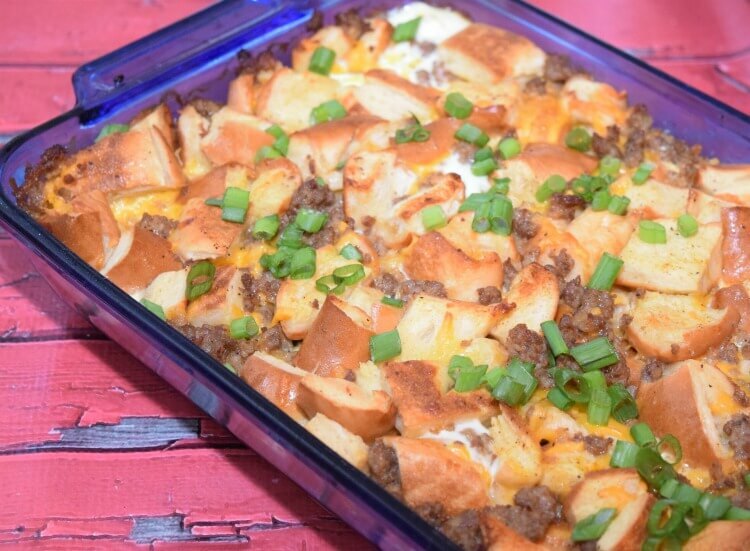 I’ve been on such a bagel kick lately and thought a breakfast casserole featuring bagels and sausage would be perfect for brunch. I picked up Thomas’® Pre-sliced Plain Bagels in a 6 count, a 16 oz. roll of Jimmy Dean® Regular Premium Pork Sausage as well as shredded cheddar cheese and fresh green onions. 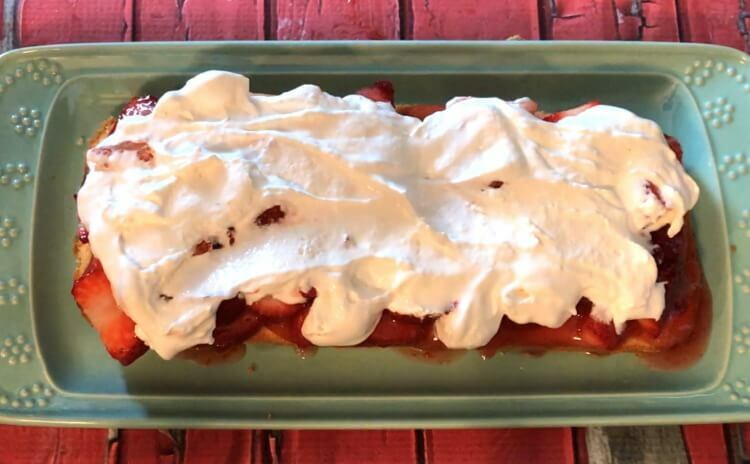 You always have to have a delectable dessert for Mother’s Day – something fancy like strawberry shortcake, but one that takes no time at all. So, I picked up a Sara Lee® All Butter Pound Cake in the freezer section with the dessert. Plus, I also got whipped topping, strawberry preserves, and ginormous container of fresh strawberries. The first one is the Bagel Breakfast Casserole. First, spray a 9 x 13 casserole with nonstick olive oil spray. Then, tear or cut the bagels into small pieces. As you layer the bagel pieces, add shredded cheese. I chose to add sharp cheddar that has some cream cheese in it to make it melt better. Next, brown the sausage and pour off any grease. Then, transfer it to the casserole dish and gently mix it up into the bagels and cheese. Next, combine eggs, milk, seasoning salt, salt, pepper, and garlic powder. Pour this all over the dish. Then, use a wooden spoon and squish the bagels into the milk mixture just to make sure it gets soaked up. If you want to make this ahead of time, do it the night before and let it soak in the fridge overnight. I usually make it quickly and let it soak for about 10 minutes before I pop it in the oven. When the bagels on top look a little golden, remove it from the oven. Next, add some green onions. I like to cut them with scissors. Then, let the casserole cool for a few minutes before serving. 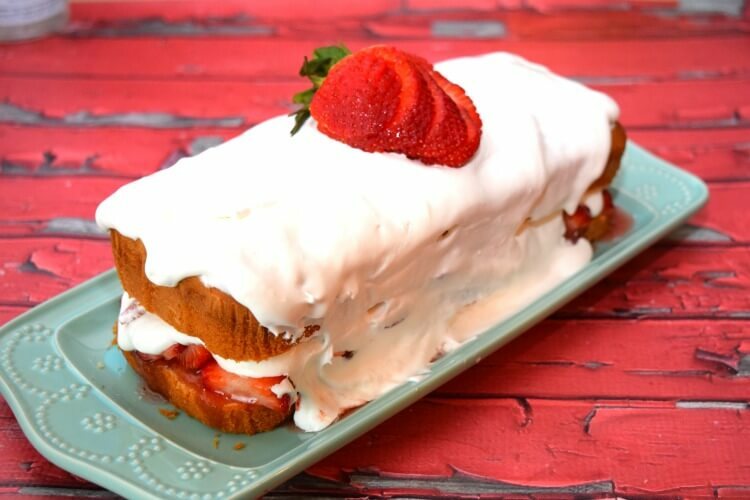 This Strawberry Shortcake can also be made the night before. You should make it at least a couple hours or so before serving, so you can pop it in the fridge for at least an hour before dessert time. You can make this with whipped cream or with whipped topping. I chose whipped topping for time limits. However, you need to defrost the whipped topping. It is usually recommended to put it on the counter for about 4 hours before serving for the best consistency. If you want it quicker, then I recommend making whipped cream, you’ll probably need about a pint of whipping cream to be whipped. Next, slice up about a pint of strawberries. Then, mix them with 1/2 cup of sugar. Set them aside for about 30 minutes to an hour. The sugar pulls the juices out of the strawberries, so I check on it every 15 minutes and stir. When they’re ready, heat up about a 1/2 cup of strawberry preserves for just 30 seconds in the microwave. Then, mix it all together. Now take the pound cake out of the freezer and slice it in half. 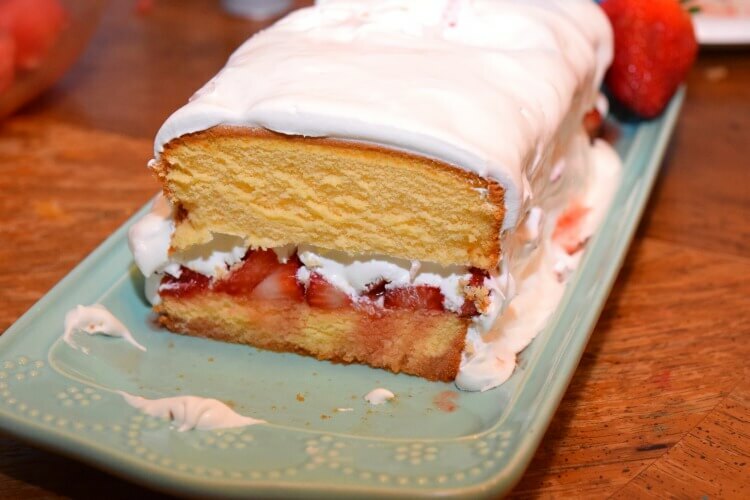 Add the strawberries to the bottom half of the pound cake. Add the top of the pound cake and slather with the rest of the whipped topping and maybe a strawberry or two. The whipped topping will run down the sides a bit. 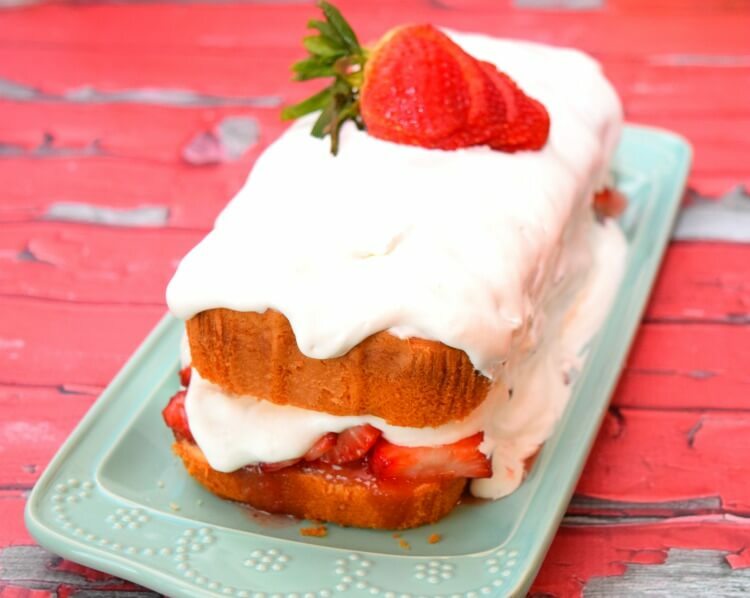 Now pop it in the fridge to let the strawberries soak into the pound cake for at least 30 minutes to an hour before serving. Now we’re ready to serve brunch! 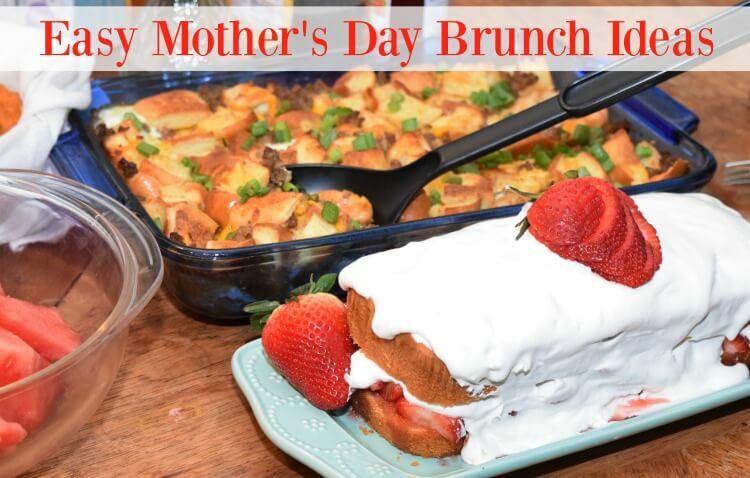 I always add fresh flowers to the table, fresh fruit, and a few other breakfast type items to make it a perfect Mother’s Day meal. 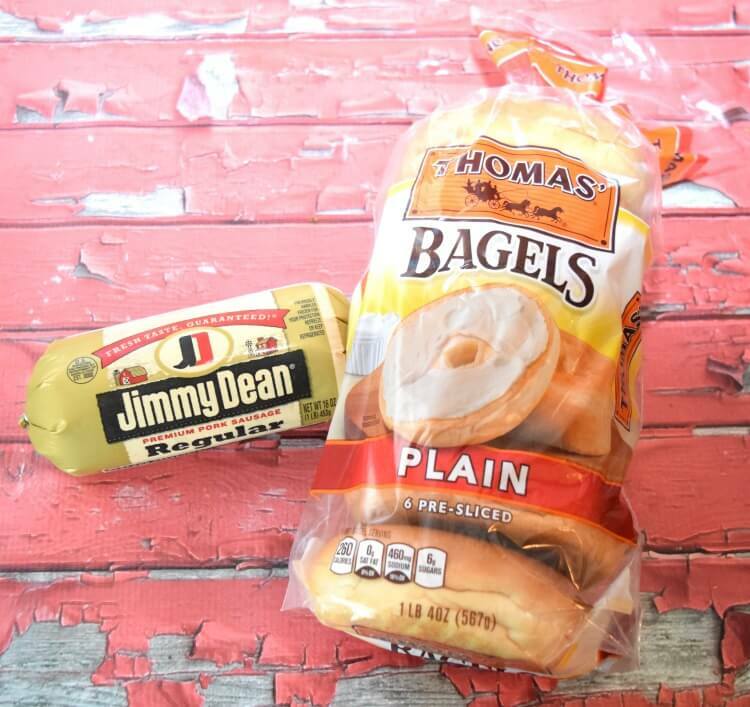 Thomas’ Pre-sliced Plain Bagels 6 ct.
Jimmy Dean Regular Premium Pork Sausage, 16 oz. 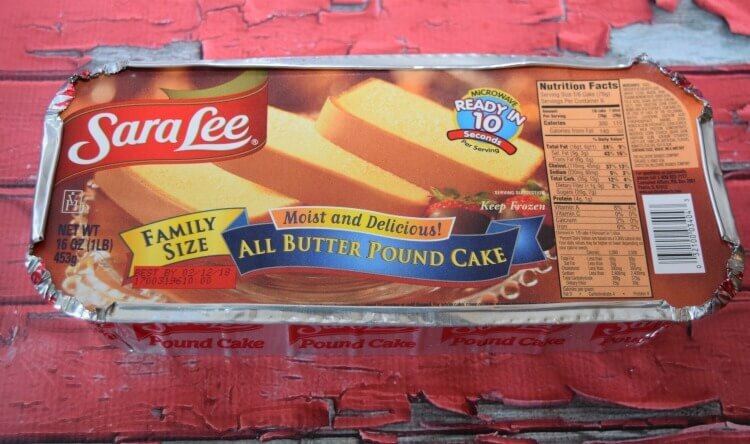 Sara Lee All Butter Pound Cake, 16 oz. Spray a 9 x 13 casserole dish with olive oil spray. Cut the bagels into bite size pieces. 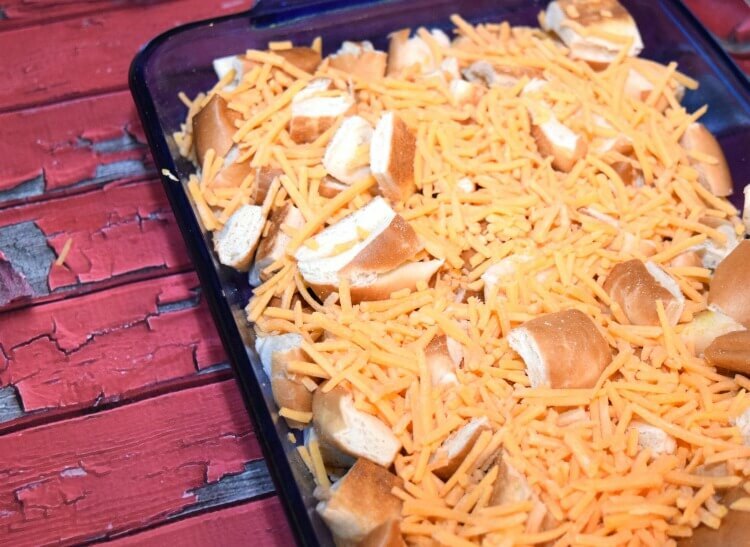 Combine the bagel pieces and cheddar cheese in the dish. 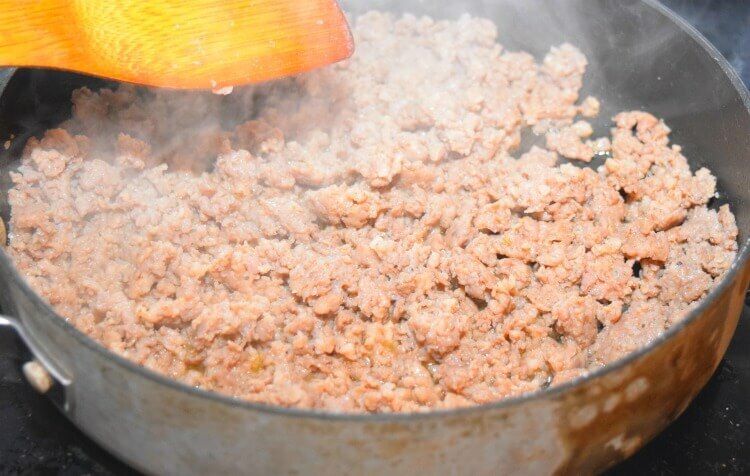 Add the sausage to the bagel/cheese mixture and stir it up just a bit. Combine eggs, milk, salt, seasoning salt, pepper, and garlic powder and mix until well combined. Pour the milk mixture over the bagel mixture. Allow to sit for at least 10 minutes or in the fridge overnight. Bake for 20-25 minutes until top bagels are turning golden brown. Remove from oven, and add chopped green onions. Allow the whipped topping to defrost on the counter for around 4 hours (or make fresh whipped cream when ready to put the cake together). 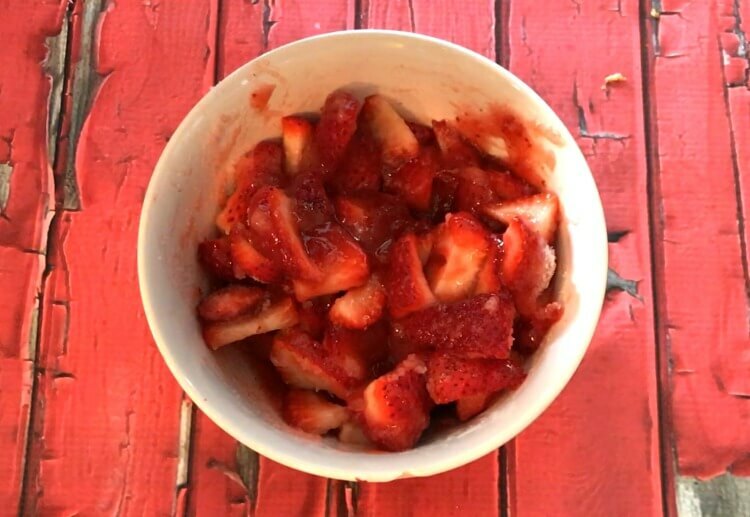 Slice the strawberries and mix with 1/2 cup of sugar. Set the strawberries aside to let the sugar pull the juices out for 30 minutes to an hour. Heat the strawberry preserves for 30 seconds and then mix 1/2 cup with the strawberries. Slice the frozen pound cake in half. 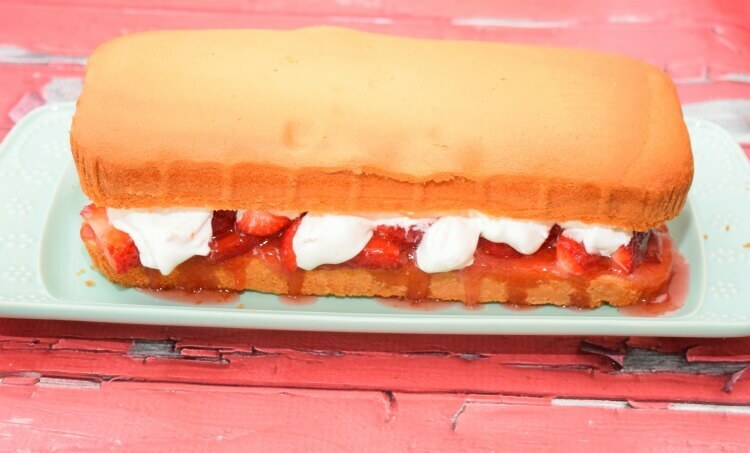 Spread the strawberries over the bottom half of the pound cake. Spread half the whipped topping over the strawberries. Add the top of the pound cake back on. Spread the rest of the whipped topping over the top of the pound cake and let it fall down the sides just a bit. 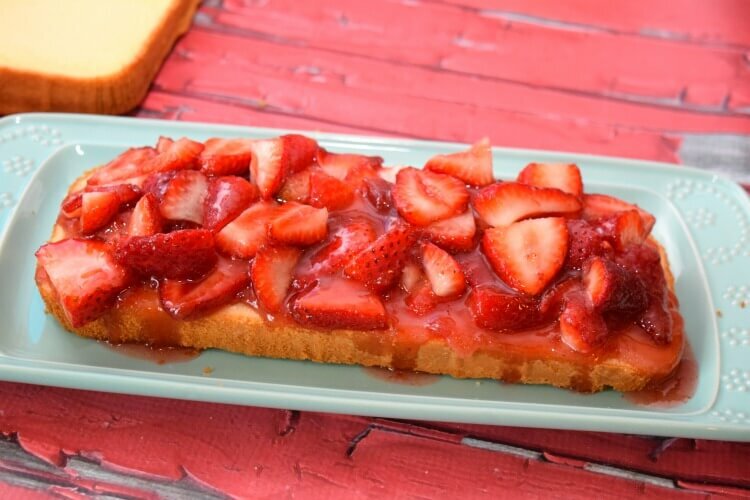 Garnish with fresh strawberries and allow it to sit in the fridge for an hour before serving. 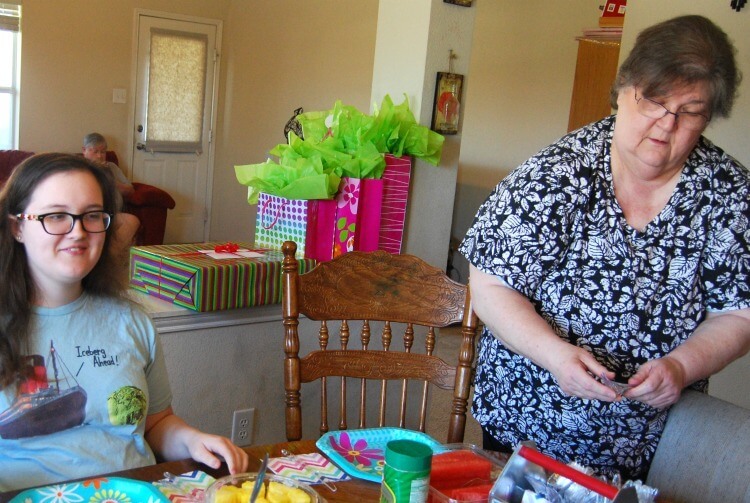 Would you like to win a $200 Walmart gift card from Tyson in celebration of Mother’s Day? Shoppers who participate in this contest will be entered for a chance to win one (1) out of five (5) $200 Walmart gift card!